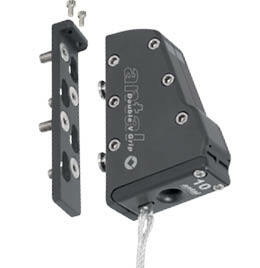 The powerful yet gentle Double V-Grip system constitutes a step forward among the V-Grip products. Two opposing V shaped wedges fold the line and tighten the hold: the more one pulls, the tighter the hold. Line pressure is exerted onto four sides of the rope. 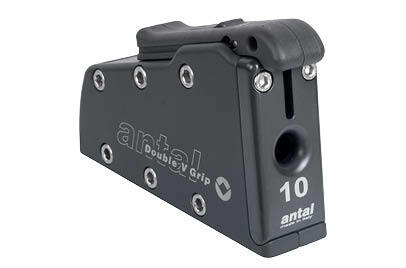 Antal has never realized a better union as in Double V-Grip of line care with holding power. 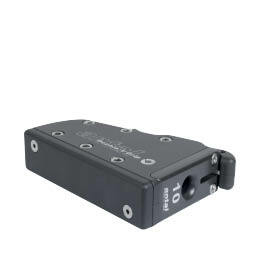 Each jammer has been studied so to give the best test results on the line diameter it is designed for. 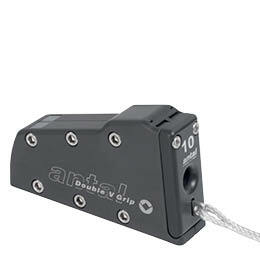 The Double V-Grip system has the following characteristics: Pressure on four sides. Two opposing V shaped wedges slide on low friction tracks. Test results show almost no line wear even under heavy loads. Load distribution. Two opposing V shaped wedges, designed to fit each line diameter, fold the line and distribute the pressure onto a wide surface. Tests show no forward movement of the line when the wedges adjust. Moreover grip distribution is always guaranteed even when the line is free of load, which guarantees the engagement of the wedges at any time. Line retrieval with locked slider. 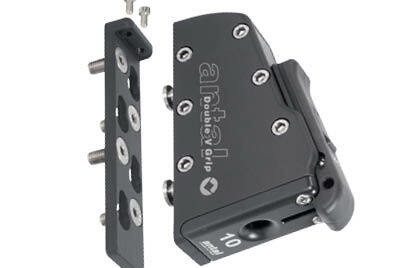 In the open position of the wedges, the slider can be locked by the ratchet, allowing free release of the line. When the wedges are locked and the line is under load, the double jaw simply unlocks when the line is pulled from a winch, allowing at any moment to retrieve the maneuver. Double V-Grip jammers are realized for four different line diameters, each line diameter corresponds to a different jammer size. However, the exchange between jammers is made easy, as they share two by two the drilling template.